Perhaps not the most “politically correct” statement to be made, but in the spirit of celebration- everyone can enjoy a good time, regardless of your ethnicity or beliefs. If you live in Suffolk County, March 17 is also a legal holiday- Evacuation Day, marking the day in 1776 when the British left Boston Harbor during the Revolutionary War. The big South Boston parade (which I have never attended) was on the 16th, but the St. Patrick’s celebrating apparently started early on the week-end.! We had tickets for the Boston Ballet performance of Cinderella (which was awesome, btw) on Saturday night so decided to have dinner at Quincy Market before the show. Already,there were many revelers dressed in all shades of green gathering in groups or standing in lines to enter the various restaurants and bars. Lots of spirit and fun was evident, and the evening had not yet begun! A few hours later, on our train ride home we seemed to be in the “party car” with some “celebrants” singing and attempting to dance ??? at 60mph??? They were enjoying themselves! Now, onto other things! 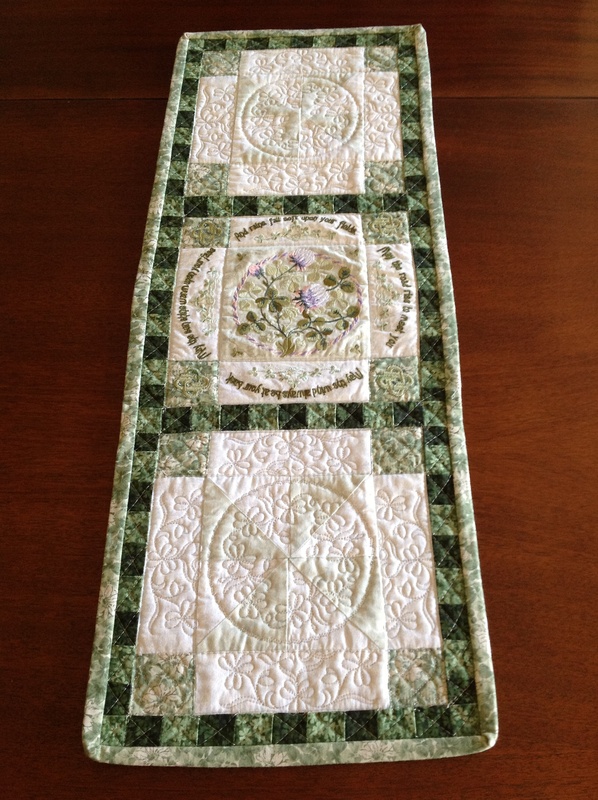 How about this table runner made from San Francisco Stitch Company? This was such a fun project and I’m thrilled with how it turned out. 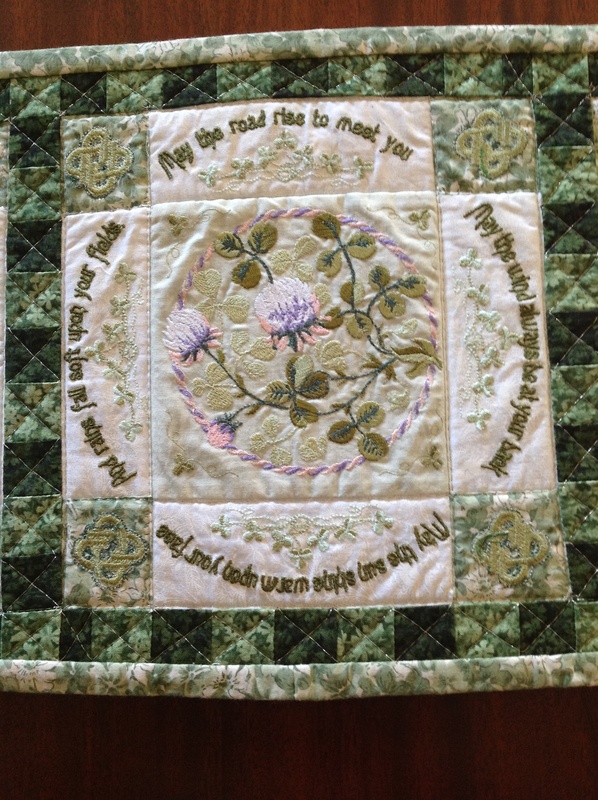 All of the embroidery and quilting is done “in the hoop” by machine. 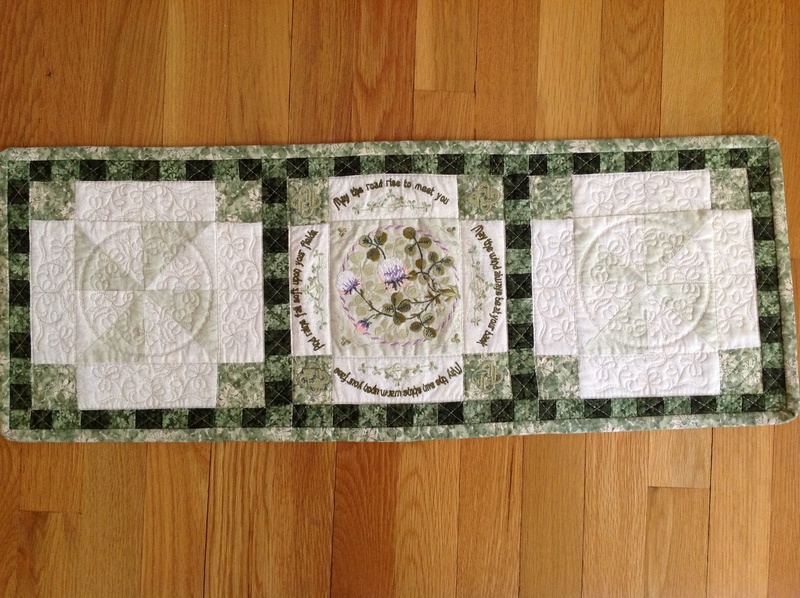 I think this table runner will be lingering on my table for a while longer, too. Hi Everyone! 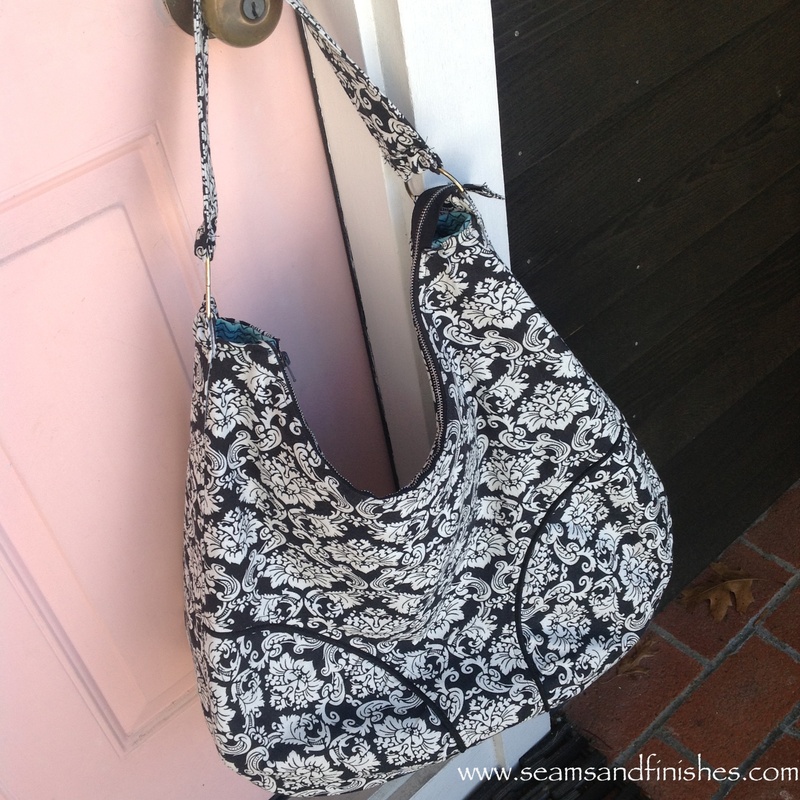 The weather here is finally warm enough to consider taking pictures outside and showing off what I have been working on- my adaptation of the Presidio Purse! The first thing I did was to measure and compare the sizes of bags I already have. That “research” revealed that most bags I have were an average of 1 3/4 inches shorter than the Presidio Purse. Not really that much of a difference, but I still felt that the size was not right for me. 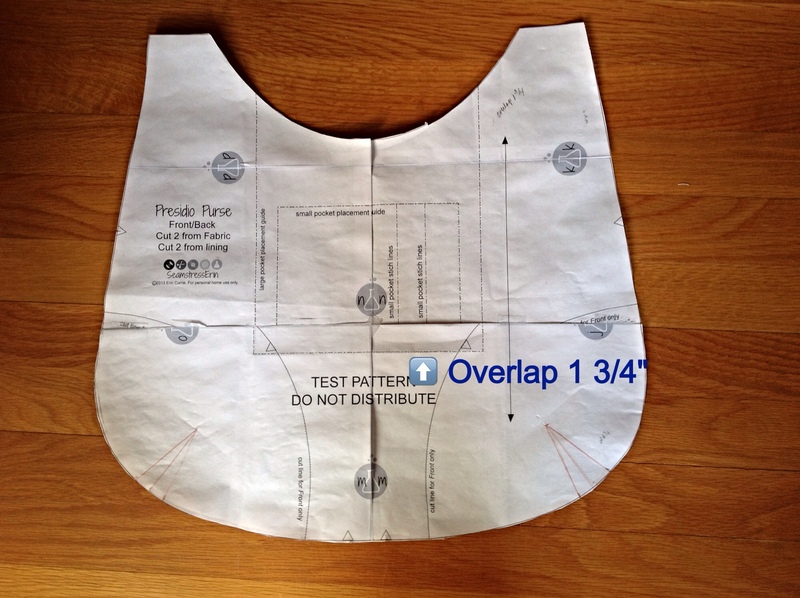 With that information, I started to modify the pattern by overlapping the bottom portion of the pattern by that 1 3/4 inches. Then I made some adjustments to the combined side/bottom piece and created a muslin. I knew right away that this was not the “look” I was going for, either. There was still something that was “too big” but progress was being made! Then I decided maybe I could eliminate the side/bottom piece altogether and create depth to the purse by adding darts! Ding ding ding…We have a winner! 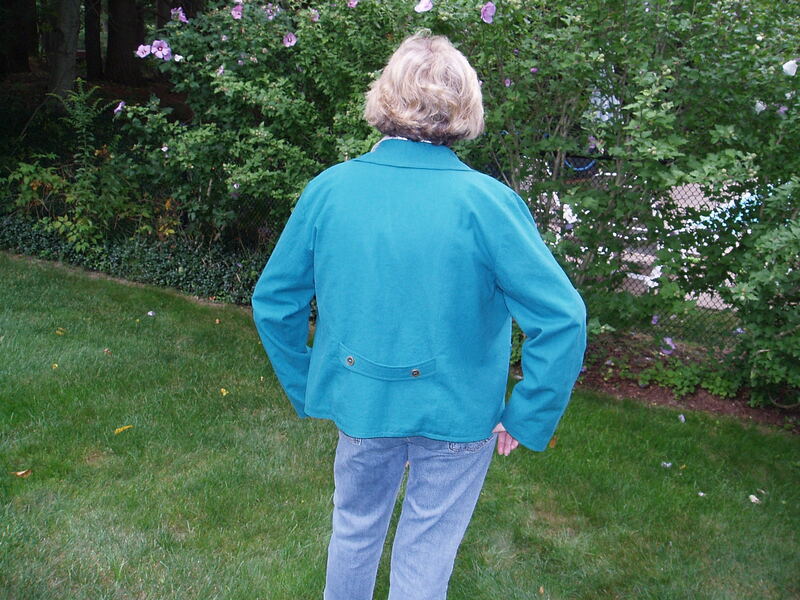 Overlap the bottom portion of the front/back pierce 1 3/4″ and shorten the bottom portion of the zipper pocket piece by the same amount. (I just folded it under). The darts are 1″ long with a total take-up for each dart at 1 1/2″. * I cut the small pocket on the fold, interfaced half of it and sewed it right sides together, leaving an opening to turn right sides out. (No raw edges ). 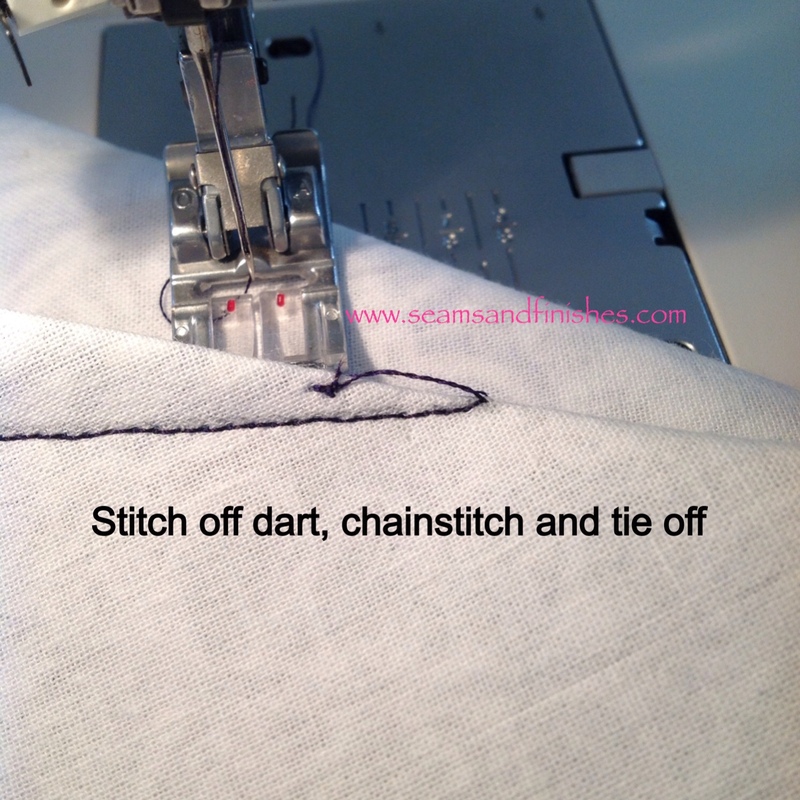 A close-up of sewing the darts: To eliminate the dimple at the point of a dart, stitch off the point and continue stitching a thread chain. Lift your presser foot an re-position the needle within the dart fold and tie-off. 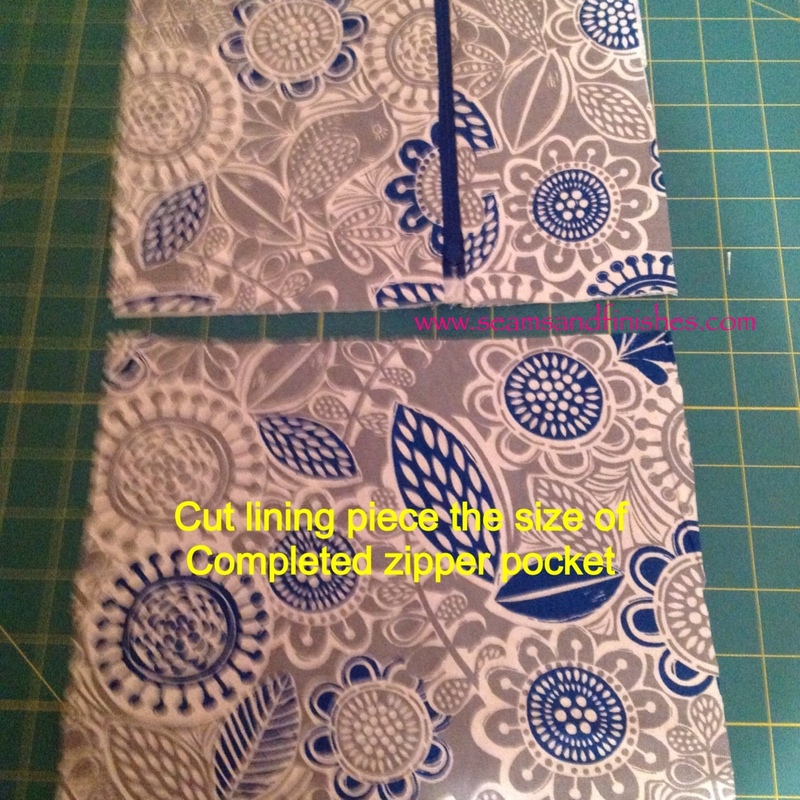 Cut pocket lining the same size as completed zipper pocket. 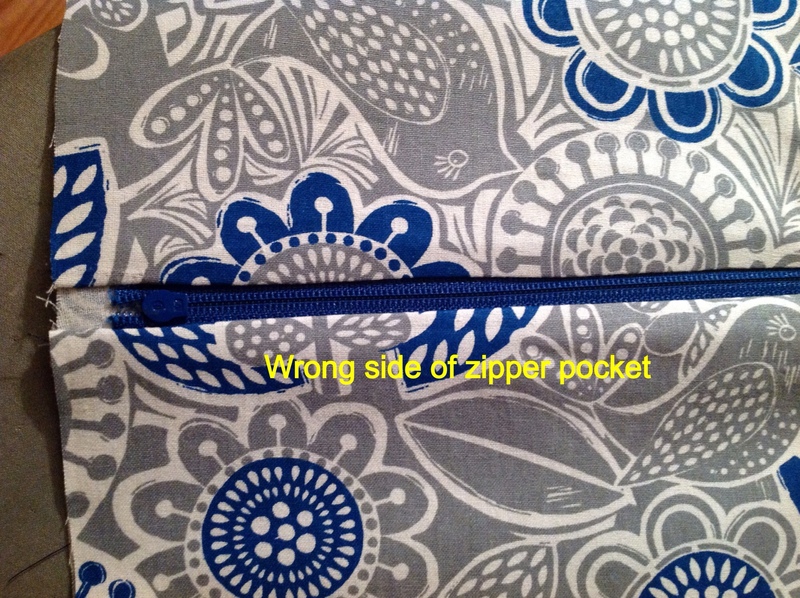 Place WRONG side of this piece on top the right side of the zipper pocket. 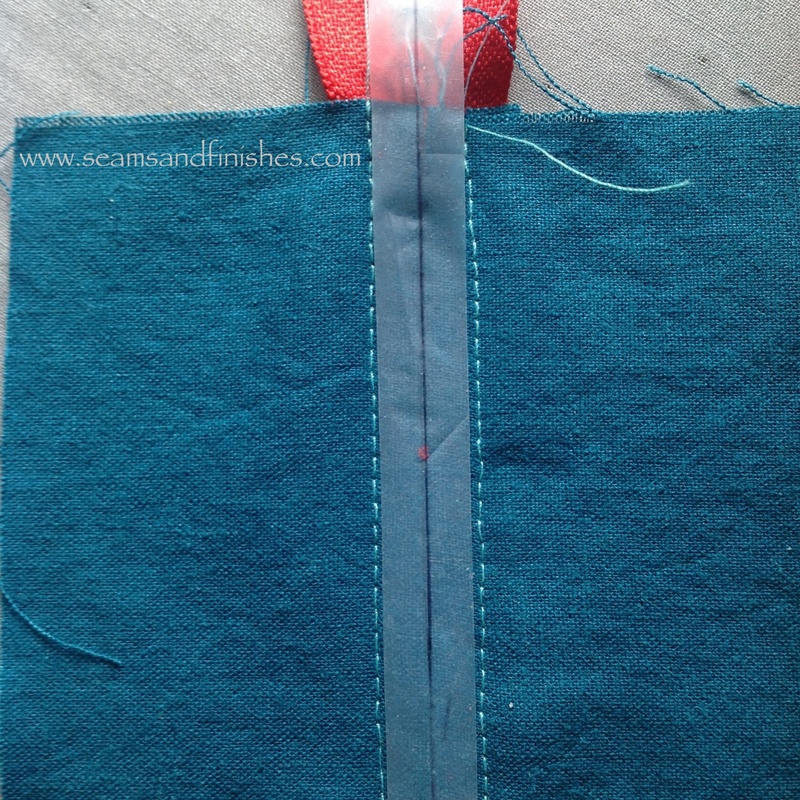 Stitch together with 1/4″ seam on 3 sides, leaving top open. Trim corners & turn to right side & press. 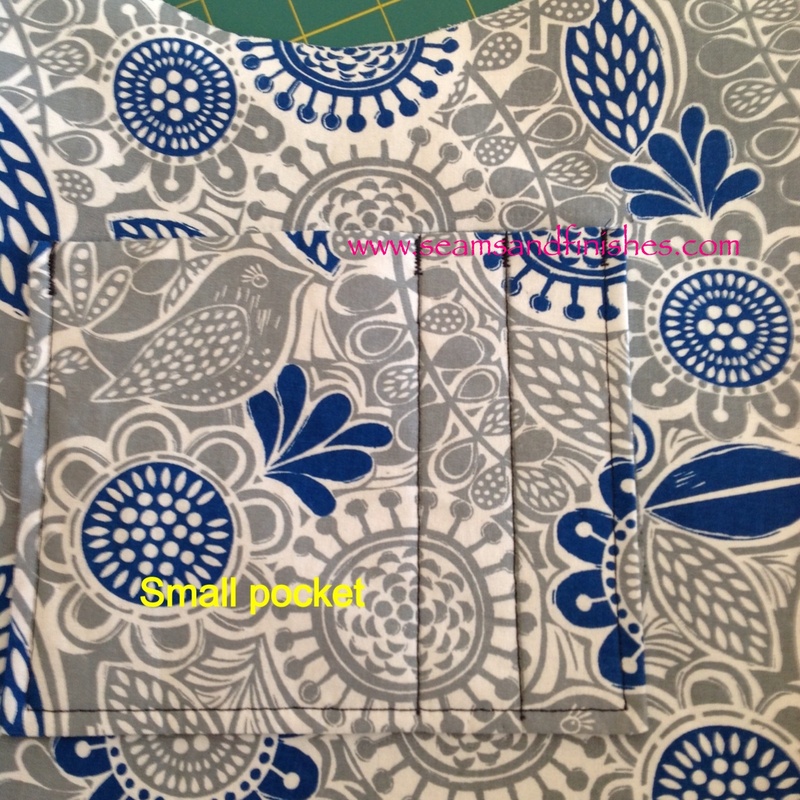 When this pocket assembly is stitched to the lining with 1/4″ seam, there will be no raw edges inside, and the right side of the lining is visible when you unzip the pocket! Small pocket stitched to lining (reinforced with bar tacks). 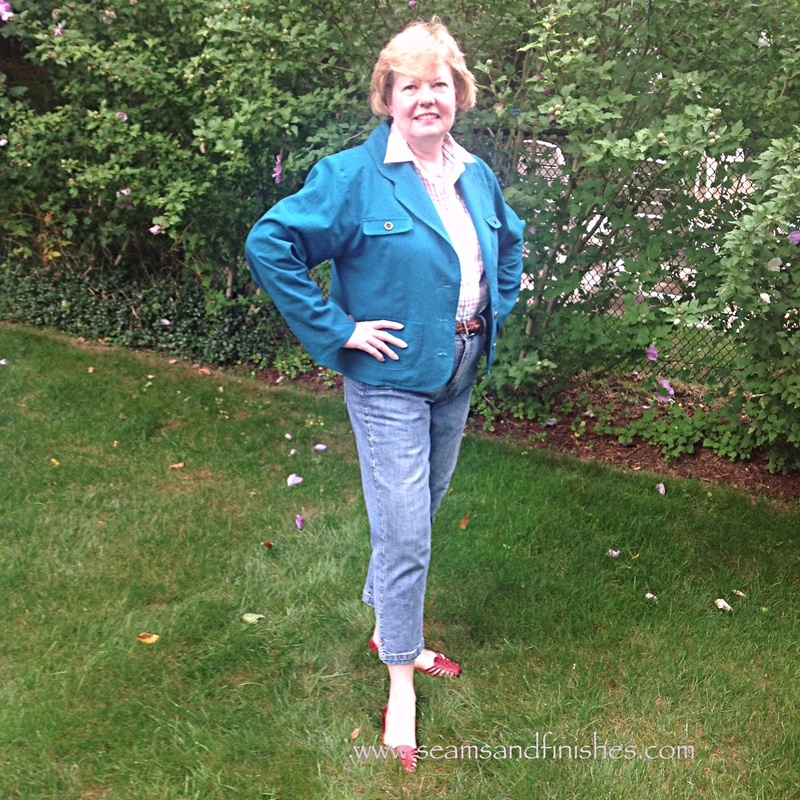 Once the pockets were stitched to the front & back lining pieces, it was time to stitch the front & back together. 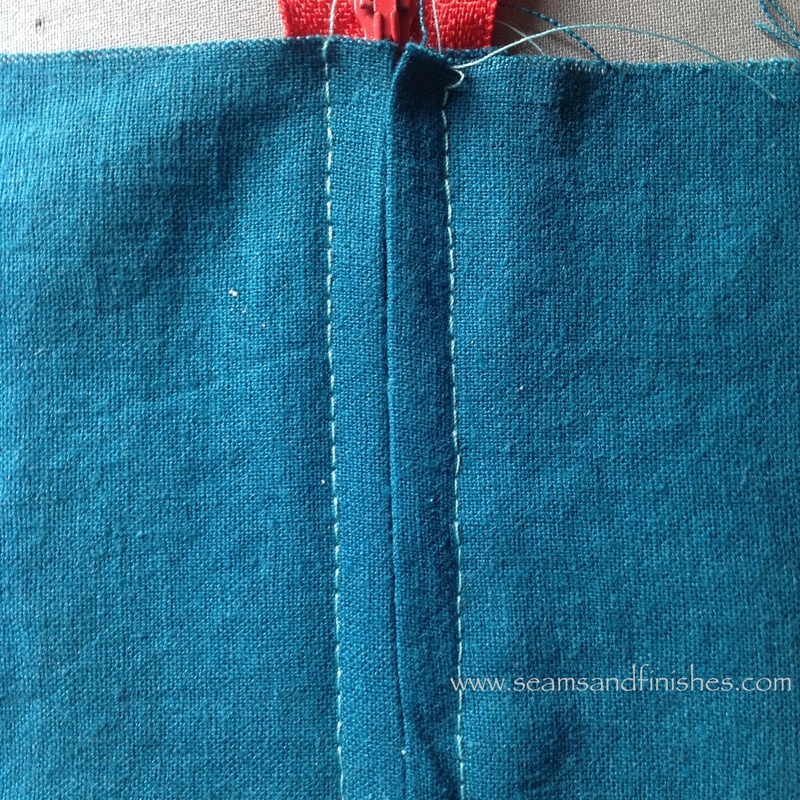 After doing this, I pressed the seams open and used a 2-step zig-zag stitch along the seam to keep it open. Top stitched the seam using a 6.0/100 needle with regular thread. I have not had a great deal of luck using top-stitching thread in the past. If you like more definition, you can thread the needles with two of the same weight thread to get a slightly thicker appearance or use 2 different colors in the same needle for an even different look! 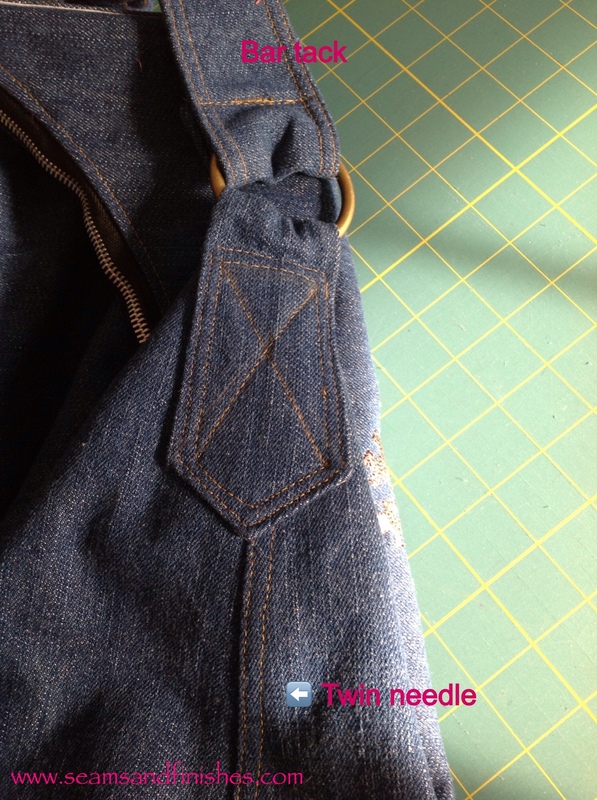 For top stitching handle & anchors and construction, a jeans/denim size 100 needle was used. Bar tacks were added on the handle after I attached it to the ring for extra security, and it goes along with a jeans style! The 2″ rings were ordered from Pacific Trimming. 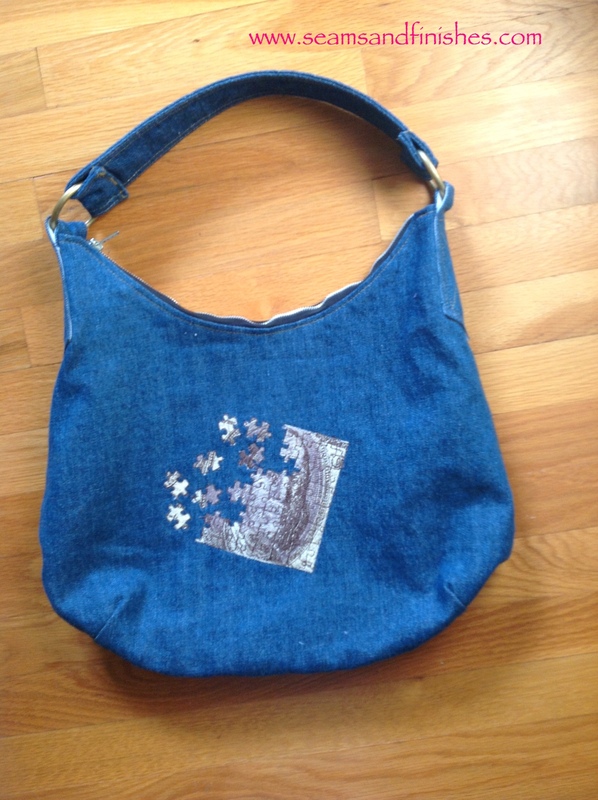 Here is the finished bag! The design is from “Worth Every Penny”, a collection found here. And here is the bag in action! 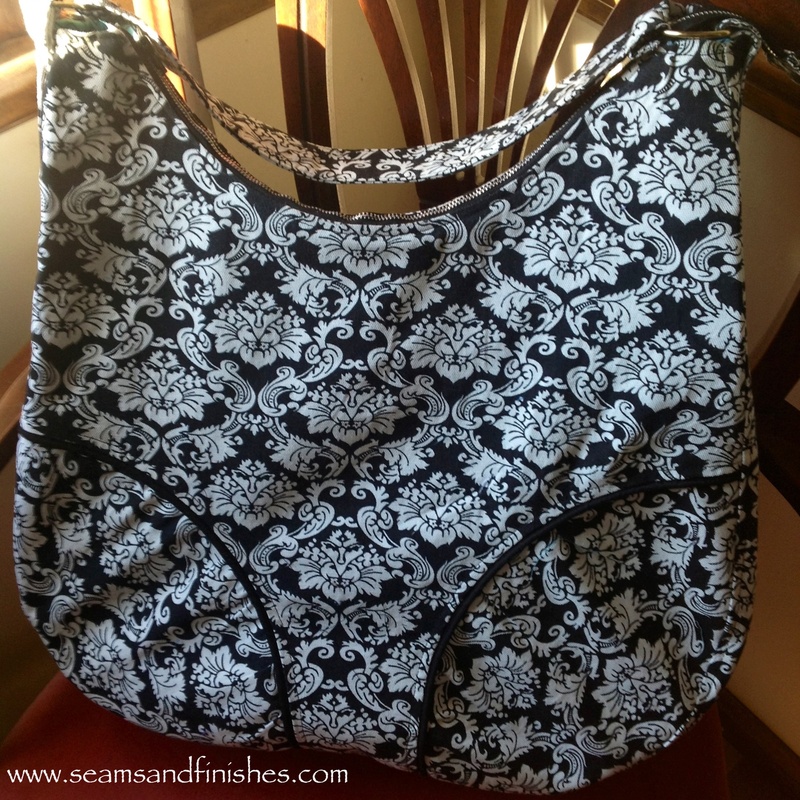 Seamstress Erin has just released her first pattern, The Presidio Purse! 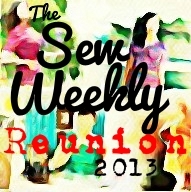 In fact, she is currently hosting a sew-along, so you still have the opportunity to join her in making one of your own! Early last month Erin selected a group of volunteers to test this pattern. With a 2-week deadline and the holiday rush, I quickly got to work. 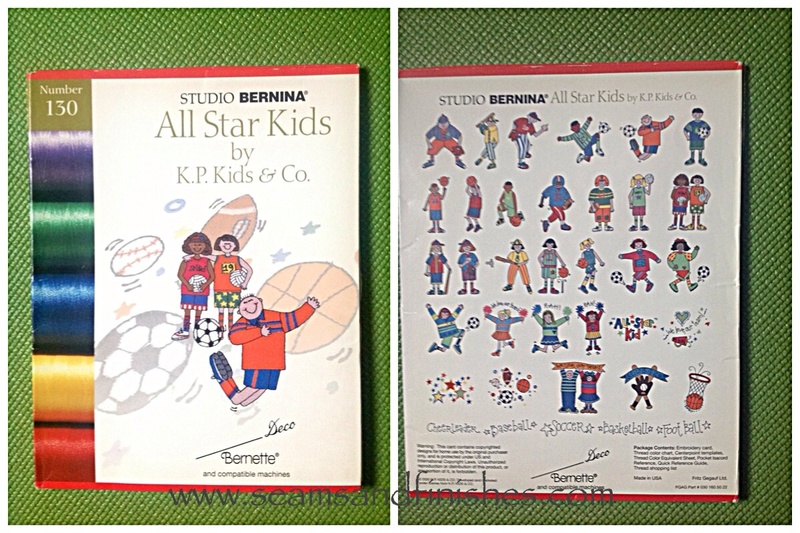 The pattern is downloadable for either a copy shop or home version. I printed it at home and was done in no time. Next stop: The Large Fabric Store Chain. Now, the original description given was that this purse could be carry-on luggage size, and the recommended interfacing would be firm. 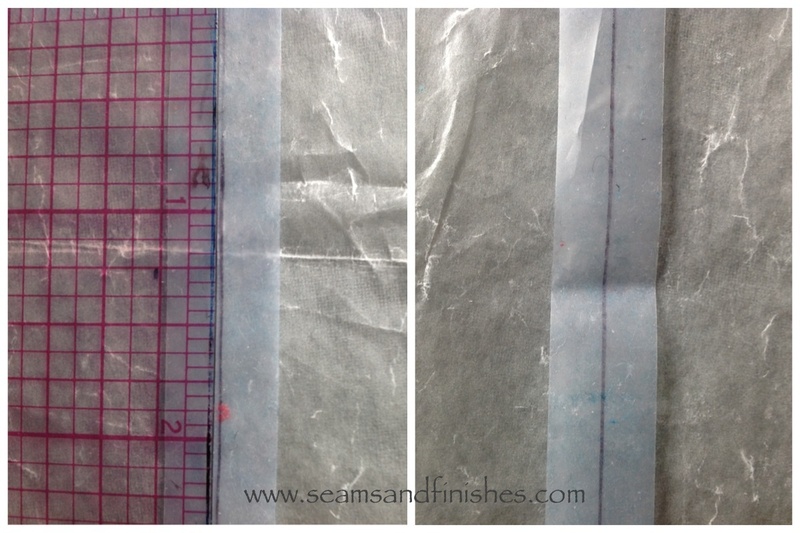 I chose to interface my lining with a fusible that is recommended for handbags. 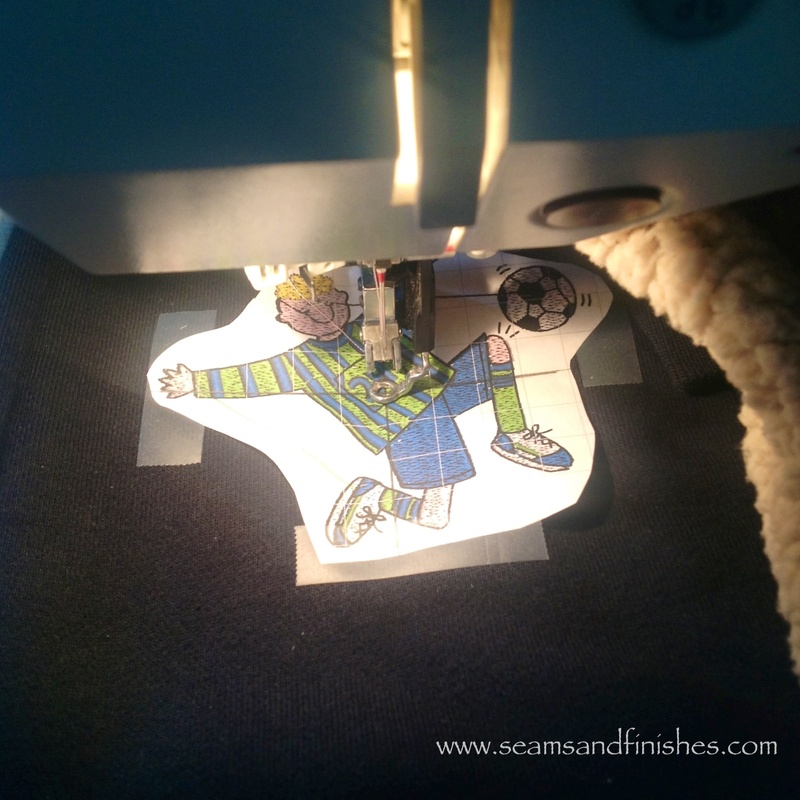 Although it worked-out fine, it was not easy to sew and difficult to maneuver under the machine. I had to wrestle with it, like working with a life vest! 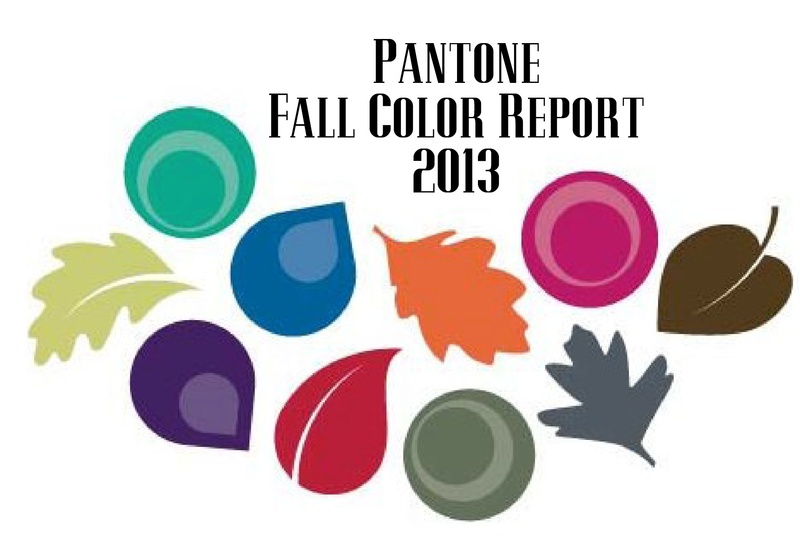 Check-out Erin’s discussion here outlining fabric selection choices. The directions and illustrations for making this purse are well thought out. I did make a couple of changes to the pockets by interfacing them for sturdiness & functionality and lining them so there are no raw edges, but these are my personal preferences. For the hardware I used a 2″ D-ring which was not rectangular and I’m very pleased. 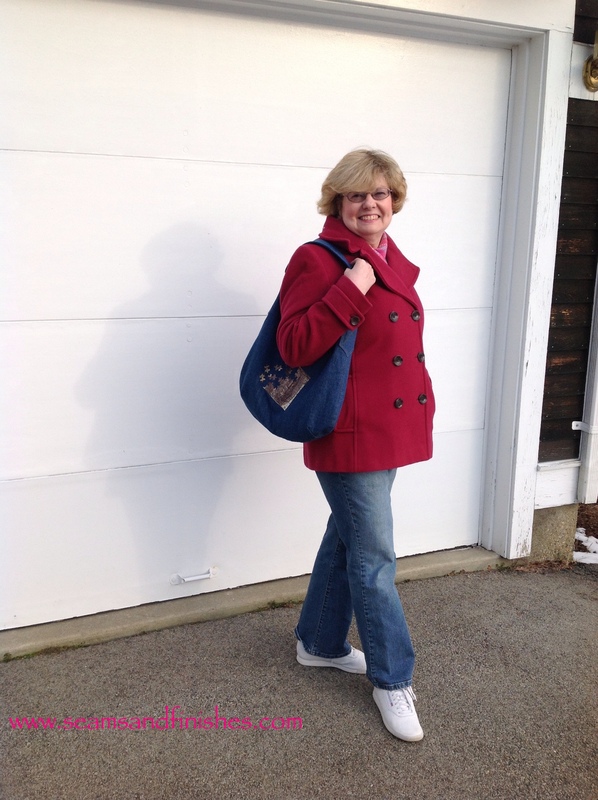 One thing I really like about this purse is the length of the handle and its orientation on the bag – it feels very comfortable slung over my shoulder! 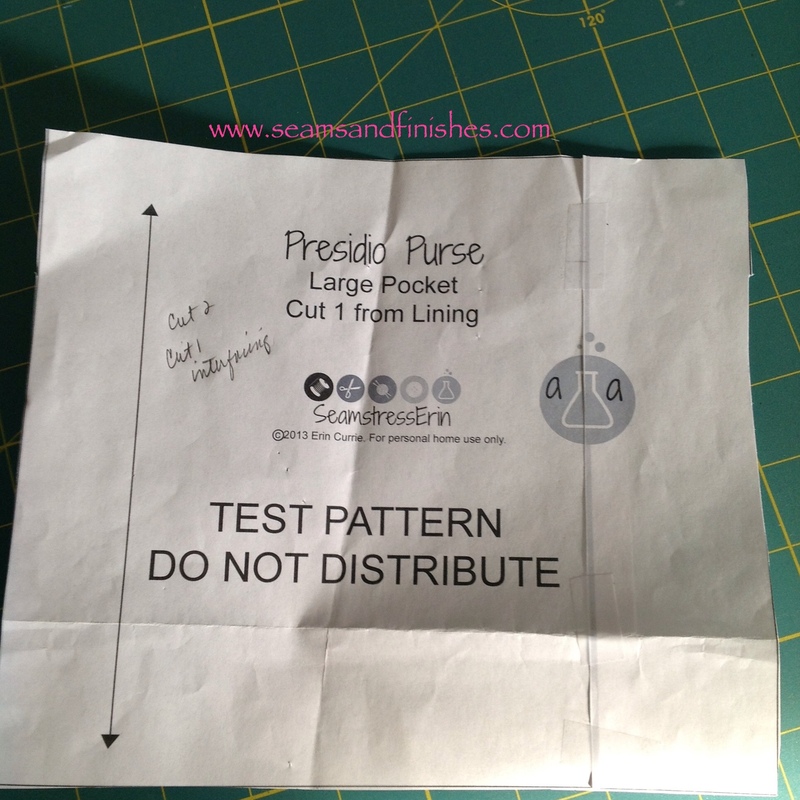 Well, I’m going to be making a second Presidio Purse (pre-shrinking fabric as I type), but I’m going to experiment with scaling the size down a little as this bag a lot larger than I am used to using regularly. Plus I have a few “embellishment” ideas percolating. Is there a Presidio Purse in your future? 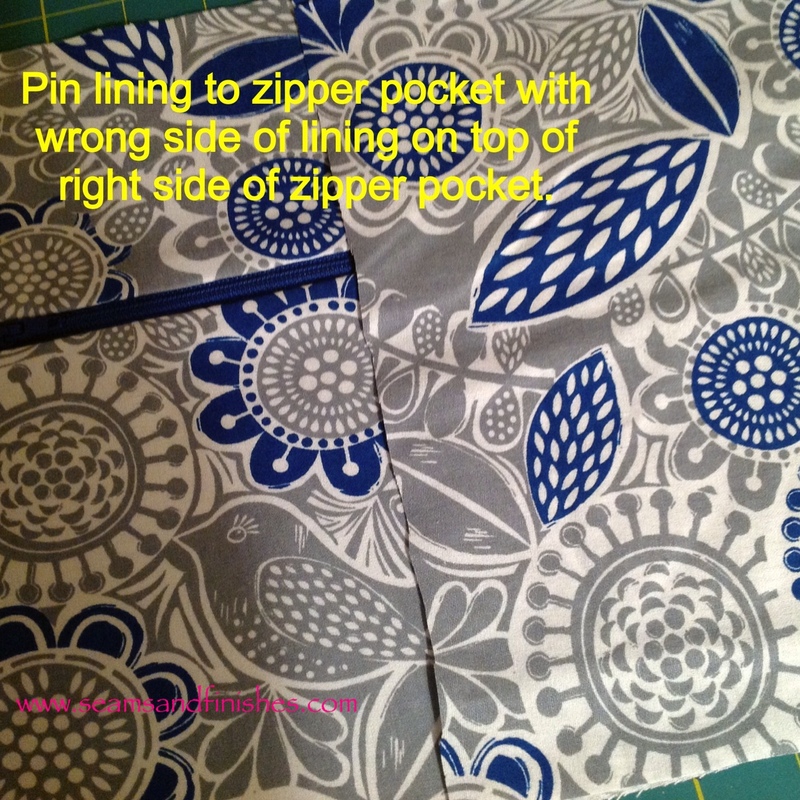 Inspired by Sew Mama Sew, and National Sewing Month I'm sharing a sewing tool and tip with you today on Centered Zipper Application! Machine-baste your zipper opening closed as per most zipper directions and press the basted seam open. 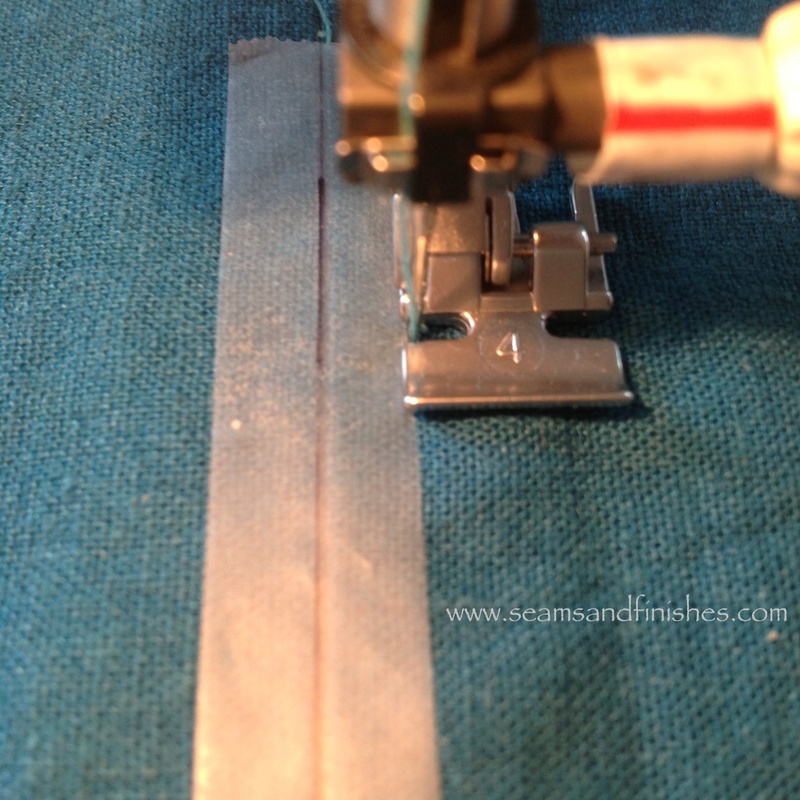 Using your zipper measurement as a guide, stick that length of the frosted tape to a piece of waxed paper. Draw a line down the center of the tape using the ruler. Now, carefully creep the tape along the basted opening so that the line drawn is right on top of the basting line. 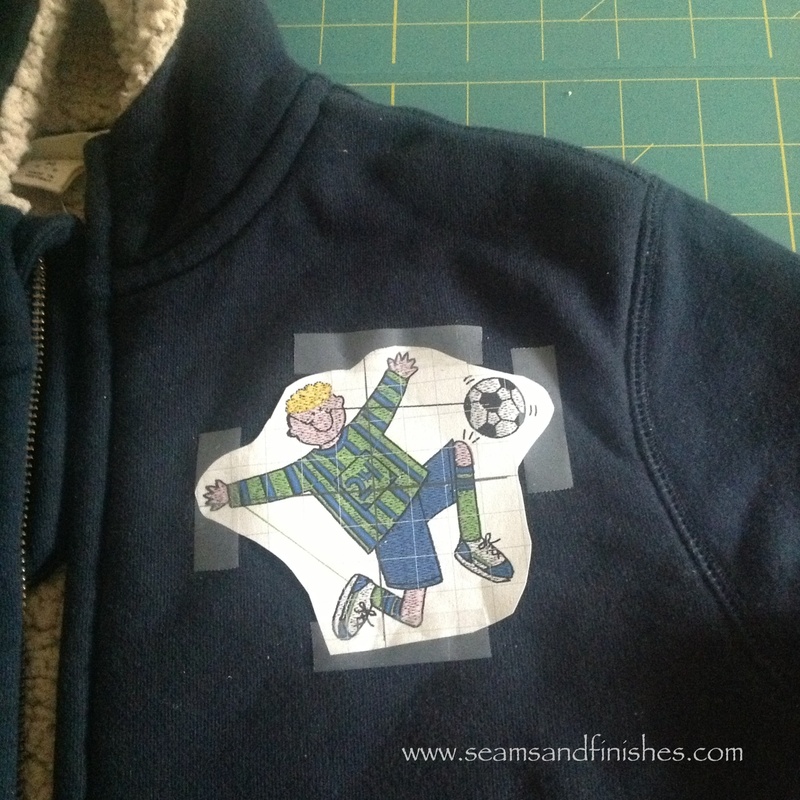 Topstitch your zipper, peel off the tape and re-stick the tape to the waxed paper for the next time! 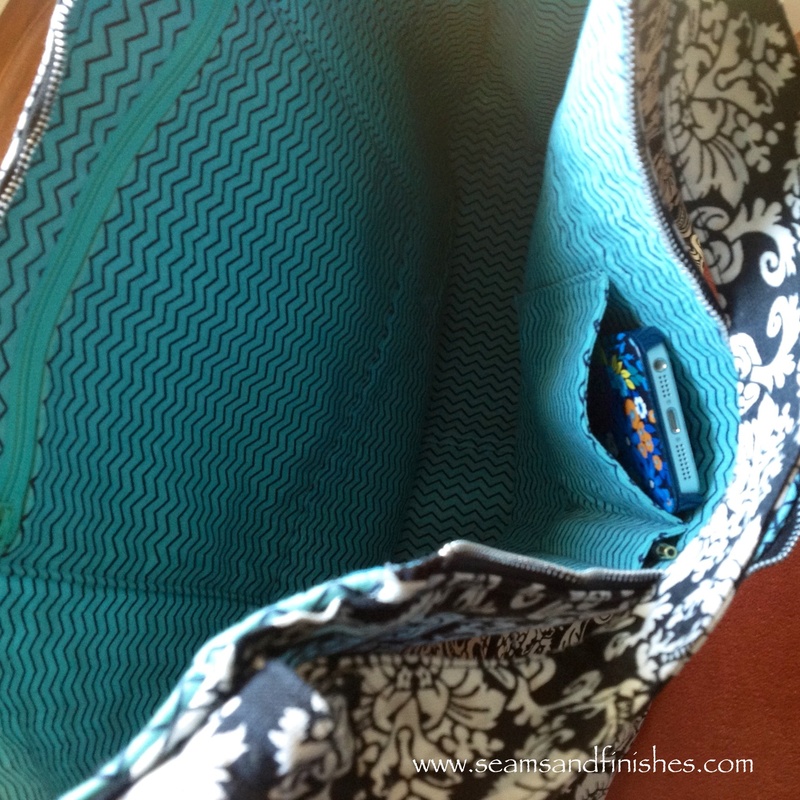 Selecting a zipper which is longer than what you need (as I did here) will eliminate “zipper gymnastics” of trying to get around the zipper tab at the top. 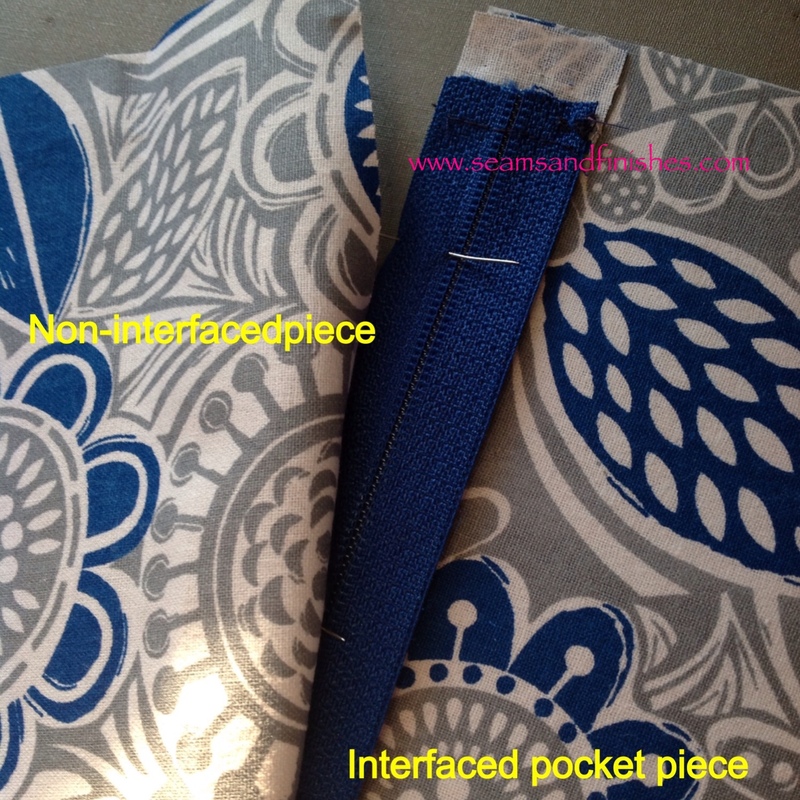 You will cut-off the extra zipper tape AFTER you sew across the top of the zipper. The top-stitch length is 3-3.5 mm, and I used a lighter thread color for illustration. 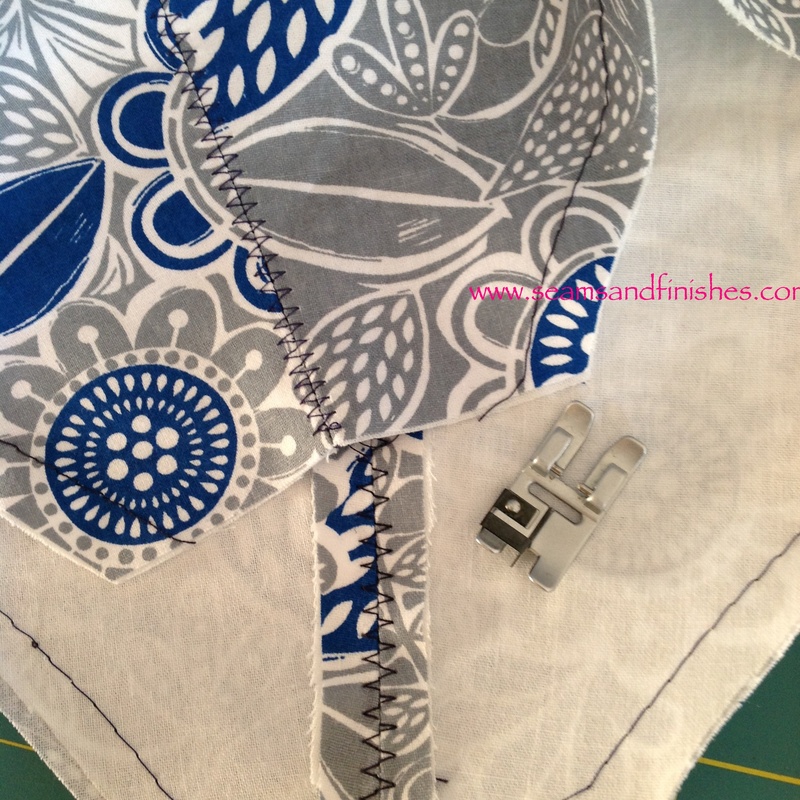 As far as which direction to sew the zipper, there are two schools of thought: Stitch from the bottom to the top, or just stitch all around starting and ending at the top. Whatever works for you and your fabric is what is important! The first picture above shows the beginning of “Stitch from the bottom, etc.” When I did the second side, I was not happy with how it looked so I took it out and re-did it using the “Start and end at the top” method. In choosing to start at the bottom, it is crucial to pull your threads to the inside and hand-tie them so no one knows where you stopped and started! 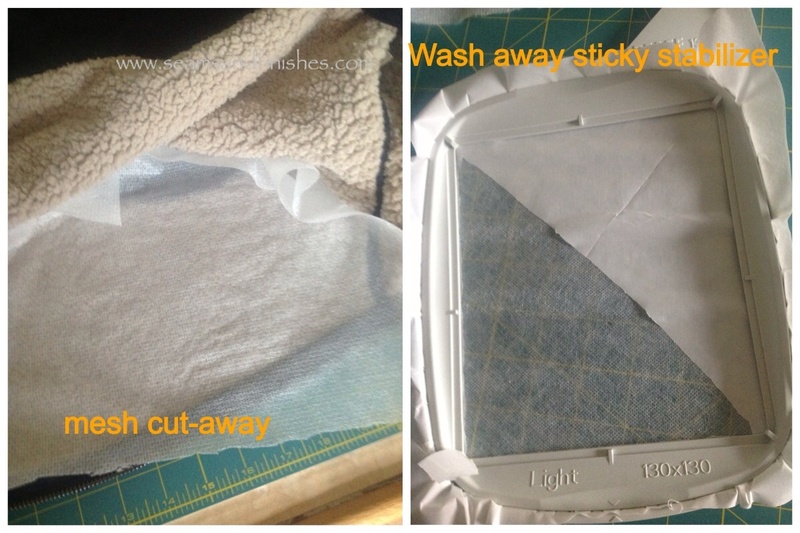 Take a look at other tips shared at Sew Mama Sew and celebrate National Sewing month with a new tool or technique! Time to complete– longer than anticipated- off an on over 2 weeks, 24 hrs?? 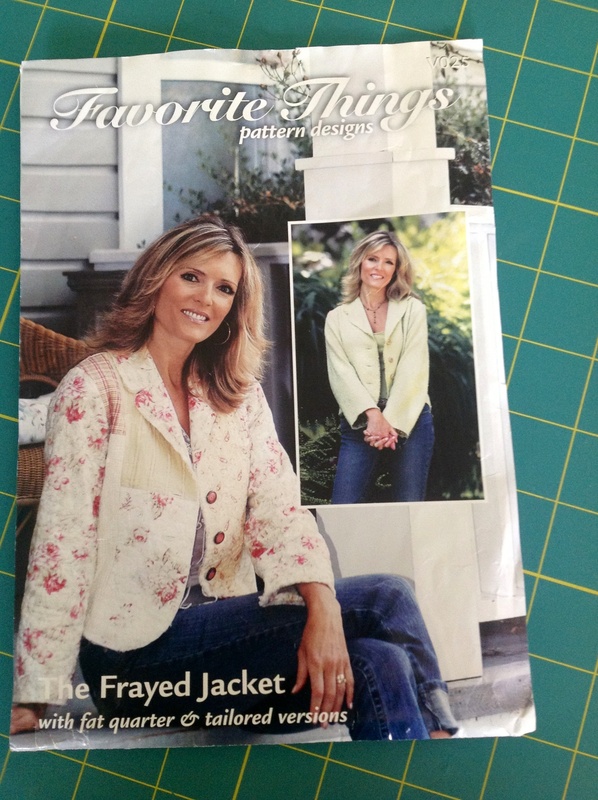 I made the quilted version of this jacket circa 2005 and anticipated making the tailored view soon after, but a lot of water has flowed under that bridge and it didn't happen. Suffice it to say that this jacket has a different fit without the batting between the layers so I needed to take the seams in, throughout. The sleeves are still not as close fitting as I would like. I am planning a future post to compare the two jackets. I used two different cameras to try and capture the true color of this jacket. 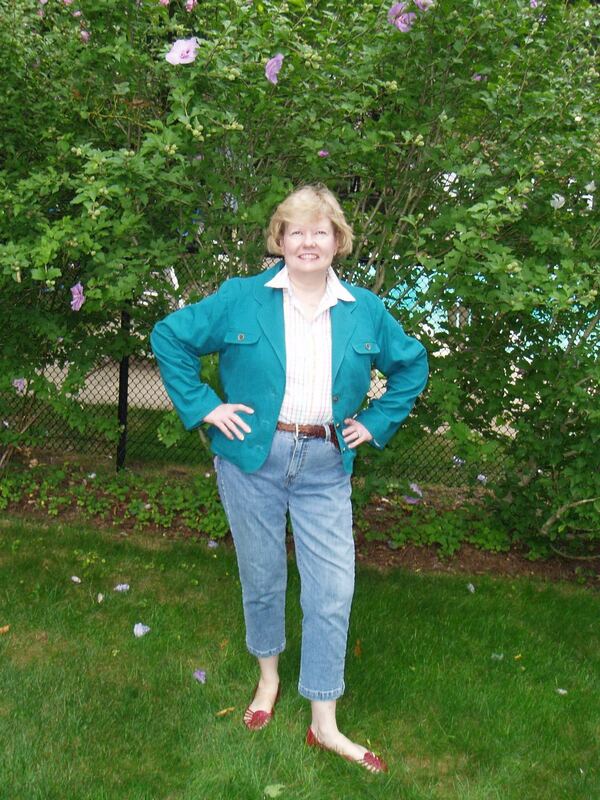 IRL, the jacket matches the Pantone Emerald. The first photo was the closest color match. Are You Ready for Soccer? 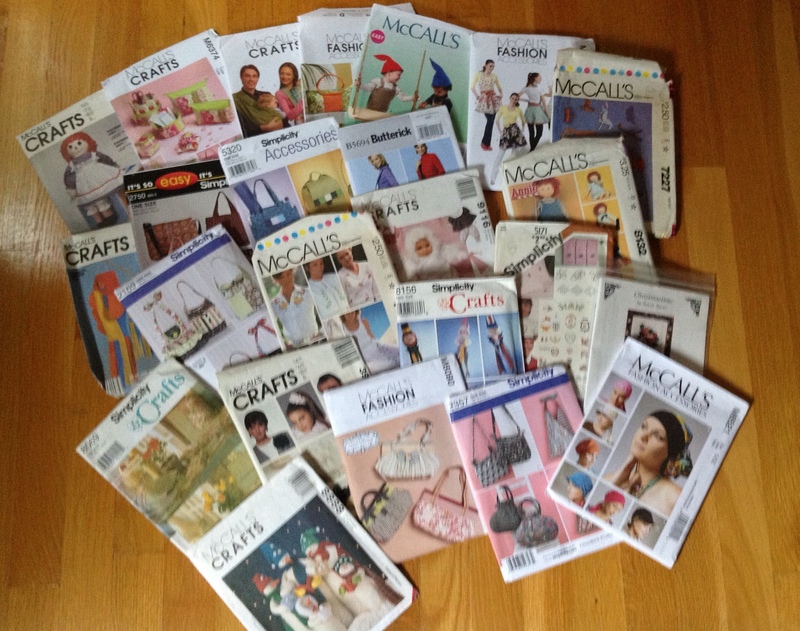 I hunted for these on Ebay after seeing a sweater using several of the designs in Sew News. I was lucky to have found the collection, as it is no longer available from a dealer. reduced the design density from 11,000 stitches to 9000. Changing the hair color required “zooming-in” on the design and viewing a simulation of the stitch-out on the computer. As I watched the player, I was able to insert a new color, and then resume the black thread color. Getting the stops in the right place is important, so that a yellow outline on the soccer player and a yellow soccer ball can be avoided! 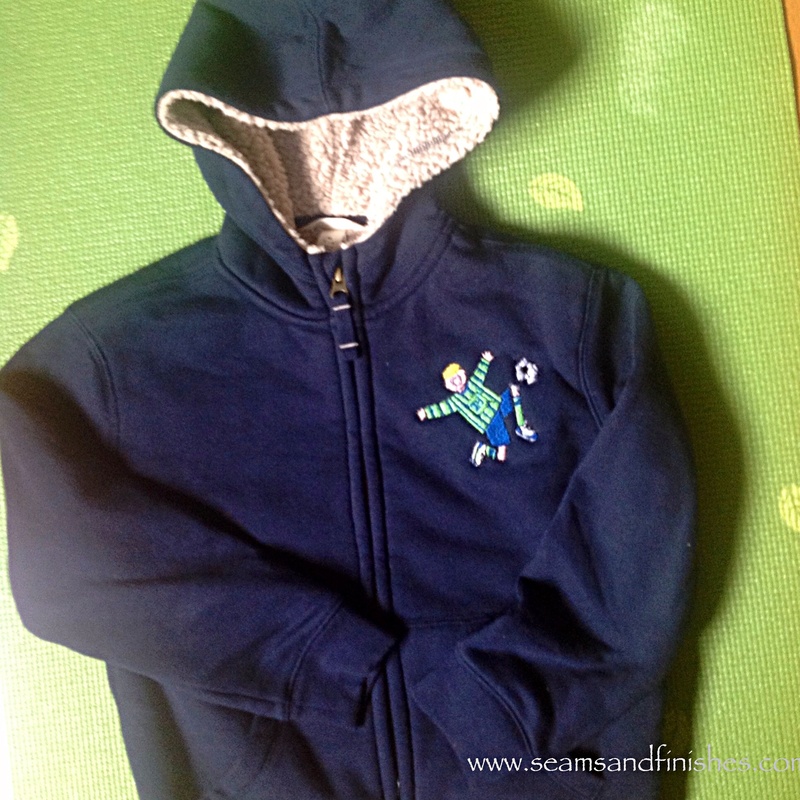 Cutaway stabilizers are recommended for embroidering on knits so that the stitches don’t wobble and distort during the stitching and the design is well-supported on the garment. Some people leave their machines to embroider by themselves, unsupervised. I am not in either of those camps. I watch like a hawk. I hold my breath (sometimes, like today) so that I can hear the clunking of a bird’s nest in-the-making, or watch the innocent needle falling out from the vibration, or having to re-thread after a thread break. All of these things happened today. Ninety minutes after sitting at the machine, we have success. Ayden will be ready for soccer.